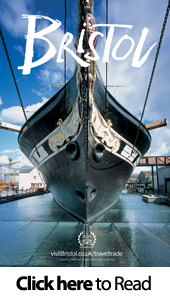 Shakespeare's England, the Destination Management Organisation for Warwickshire, is delighted to announce the launch of its new improved destination website. Created by web developers 'SMILE' who are based in Birmingham, the website has been completely re-designed and re-structured to give it a more modern and contemporary look. With new imagery and content, far greater functionality, the website now has advanced search and mapping, all of which contribute to better visibility on search engines. The website now works for three distinct audience groups - Shakespeare England members, domestic and international visitors to the region and Business/Travel Trade organisations. 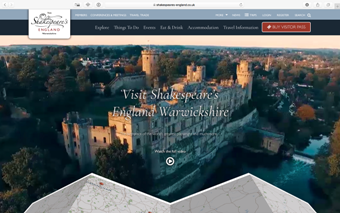 It features an integrated social content hub on the homepage around #ShakespearesEngland as well as enabling users to play a brand new promotional video which showcases the area. A Members Area is also included and later this summer will include an account login to allow members to manage and edit their own content and listings. 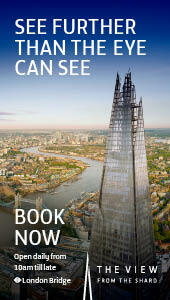 The site is continually updated with special offers, information, news and events to appeal to the visitor. Visitors can explore the region, search for things to do, events, places to eat & drink, accommodation and look up travel information. Another new function is 'Trips' where visitors or members are encouraged to create their own personalised trips and share on social media. Visitors can use the Trip planner to create their perfect itinerary by browsing the site and saving the places that they would like to visit. Another new area is "Conferences & Meetings" which has been designed specifically to promote the 'Meet Shakespeare's England' brand to the MICE market. Helen Peters, Chief Executive of Shakespeare's England said "We are delighted to launch our new improved website which is a vital marketing tool for the area. Initial feedback from members has been extremely positive. I am confident that with its new look and improved functionality; our website will become one of the most popular destination websites in the UK. I would like to thank SMILE for delivering something truly different and inspirational". visitor attractions in Stratford and Warwick, plus one night's accommodation with breakfast in a local 4 star hotel for just £185 for a family of four. Visitors can book online at http://www.stayplayexplore.co.uk/warwickshire at either Wroxall Abbey Hotel, Double Tree by Hilton at the Ricoh Arena or Jurys Inn Hinckley Island. The Stay Play Explore Warwickshire break has been developed by Leicestershire Promotions and Shakespeare's England.